XpandVBB™: Design and Administer Benefits Efficiently. 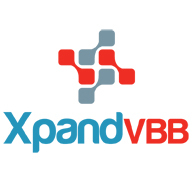 The XpandVBB solution enables flexible and sophisticated benefit plan designs based on the value that a service or procedure provides to the consumer. As health plan administrators increasingly seek designs that align reimbursement, cost-sharing and consumer engagement, with clinical needs, clinical outcomes and clinical value, XpandVBB offers a solution for administrators to implement sophisticated value-based benefit designs. These designs are coordinated with specific care plan milestones, health management initiatives and other factors to incentivize the individual consumer to seek the appropriate care at the appropriate time with the appropriate provider. Because the solution closely integrates with the administrator’s core claims system, the solution requires little or no additional work to configure new products or adjudicate/adjust claims once the underlying business rules and events are defined. In addition, tight integration permits accurate benefit payments for a specific consumer based on the consumer’s specific behavior and the value of the service to the consumer’s health. In short, XpandVBB allows an administrator to design different solutions for different consumers, based on the right combination of design, incentives and clinical effectiveness. To learn more about value-based benefits, please see the information in our Knowledge Center or contact us to learn more.